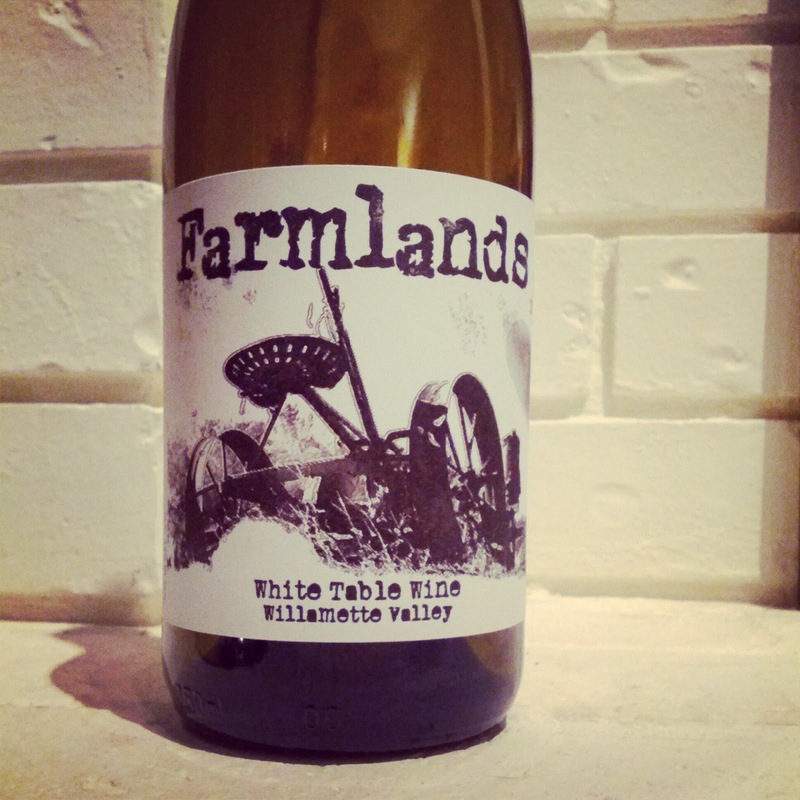 Each Friday we highlight a wine from the Northwest that we think is a real "find". By find we might mean that it's a steal, as all of these wines we'll feature weekly are at or under $20. We might also mean, "Hey, you really need to go find this", and it might be a wine that we feel not enough people know about. In any case, with the weekend pending we're hoping to help you "find" a wine to kickoff the weekend right. We'll tell you a little bit about the wine and try to help you track it down here in the Northwest. In spite of a late start, summer in the Northwest exceeded the wildest of expectations. Bright, cloudless days of sunshine with temperatures in the 80s and 90s made for picture perfect rosé and white wine sipping weather. What we need now is a smooth transition into golden, coppery autumn. Those burly red wines will have to wait awhile longer before making their way into our wine glasses. The Farmlands wine label is a special project under the umbrella of Johan Vineyards. These biodynamic wines are made from Johan Vineyards’ own estate fruit, created with a specific purpose in mind. “Farmlands is a concept geared towards wine savvy, socially conscious consumers who care about sustainability, the environment, knowing where their food comes from, and how it is produced or sourced. For us, Farmlands is an attempt to promote biodynamic farming practices and winemaking to a broader range of consumers by crafting natural wines at more affordable price points." This week's Friday Find is Farmlands 2011 White Table Wine. Yes, a white wine, but a wonderfully unusual blend that can hold our hand as we say goodbye, for now, to summer. The blend is 65% Chardonnay, 25% Grüner Veltliner, and 5% each of Pinot Noir and Pinot Gris. 2/3 of the grapes were fermented in stainless steel, 1/3 in neutral French oak. There is great acidity here, but also a bit more weight, creaminess, due to the partial malolactic fermentation. The Grüner Veltliner adds some warm spice and uniqueness to the blend. Grüner Veltliner fans should watch for Johan to release their 2011 bottling around Thanksgiving. Part of the proceeds from Farmlands sales will be donated to Friends of Family Farmers, a non-profit organization that supports Oregon's small family farms. This wine is worth seeking out not only for the $15 price point, but also to benefit a great cause. Contact the winery for a bottle or two. It is also readily available at many wine shops in the Portland area.